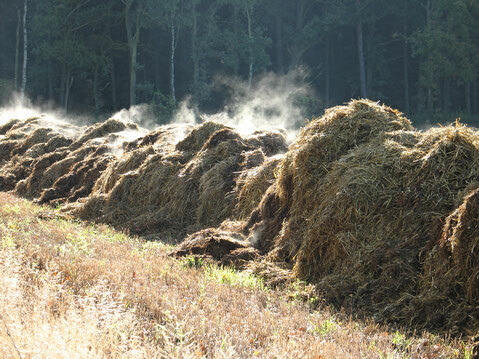 For more and more biogas plant operators, the digestate becomes a problem. Especially in regions with a high cattle and biogas plant density, the digestate presents the operator with a major problem: where to go with the digestate? You can build more expensive fermentation storage facilities if you still get a permit. You can try to spread your digestate to other, less stressed areas - but how much longer? You can also just hope that the problem with the fertilizer regulation and the abundance of digestate all over the country will eventually settle on its own - but if we're honest with each other, we know that's not going to happen. So what to do? Work together with us - cost-effective and future-proof. We accept your excess digestate. At best, your digestate is already separated, so you save unnecessary "water rides". How the cooperation with the EnergiEffekten works? Please contact us! Many soils in intensively used agriculture are not doing well. They can no longer absorb the water during heavy rainfall events because they are very dense. They can not properly store the little water that can penetrate the soil. The erosion increases annually - we speak of a devastation of the areas. The active soil life with a variety of bacteria, microbes, worms and micro-organisms suffers greatly and is partially no longer present. 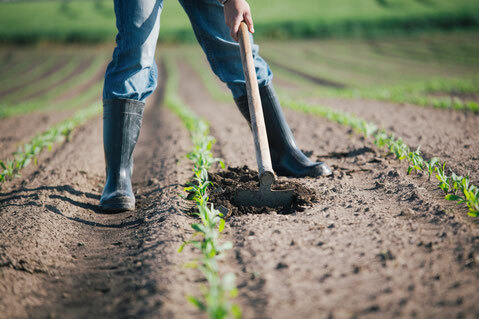 Nutrients that the plants in the fields need for their growth can no longer be stored in the soil and released to the plants. 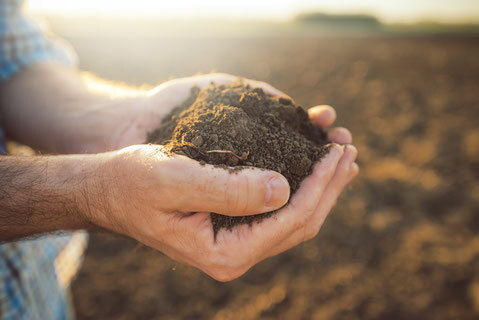 Did you know that a humus-rich soil can store a lot of carbon due to its high carbon content? Or that the humus is the nitrogen source of the soil and thus the growth of the plants, which are grown on date, seriously influenced? According to a study by the German Martin-Luther-University in Halle-Wittenberg, the water storage capacity in humus rich soils increases from 50 to 80 liters per square meter. Biochar - a miracle cure? Biochar is produced from various organic waste by means of pyrolysis - it is produced during a charring process. Due to their outstanding properties such as a specific surface, high carbon contents or the binding of toxic substances, the coal is nowadays often used as an additive in biogas plants and also as a soil conditioner. The biochar is not a direct fertilizer, but rather a carrier for nutrients and a home for microorganisms. The biochar, however, can not be introduced into the soil without treatment - in fact, it would do more harm than good. It must first be physically charged with nutrients or biologically activated so that it can bring out its soil-improving properties. We are happy to inform you about the use of biochar in your biogas plant or in your soil as a soil conditioner. Give us a call!